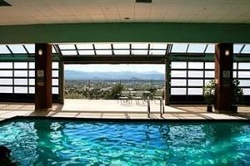 Discover the areas only full-service resort when searching for hotels in Prescott, AZ. Resting on the "Top of the Rock" offering picturesque views of the warmth and scenery of Prescott, the Prescott Resort and Conference Center is the choice hotel for those seeking a luxurious getaway in Northern Arizona. The Prescott Resort is a great escape for a relaxed weekend. The Prescott Resort offers newly renovated guestrooms that share the culture of the Yavapai Prescott Indian Tribe. Each of our 160 guest rooms feature modern amenities that cater to our guests needs, i.e. High-Speed Wireless Internet and Flat-Screen Televisions. Each room was designed in the spirit of the Yavapai Tribe and offers artwork indicative to the majestic scenery of the Prescott area. 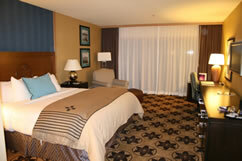 Relax and unwind with our comfortable and spacious rooms. 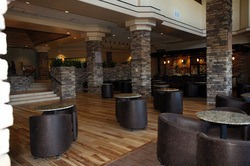 This resort is the perfect location to hold upscale banquet-style or cocktail reception style reunions. The following are prices options available at the Terrace Room which includes a professional DJ, Photographer, Class Website, Facebook Reunion Community Page, Classmate Name Badges, Door Prizes*, On-Site Reunion Coordinator, and much more. Cocktail-Reception Style Reunion featuring gourmet hors d'oeuvres and drink specials. Banquet-Style Reunion featuring a gourmet plated dinner with your choice of Beef, Chicken of Fish, fresh vegetables, chef's choice starch, fresh breads, and dessert.